Proverbs know no boundaries; they are truly universal. The Chinese proverbs in this selection have found their way over the centuries into all the important cultures of the world. It is their intrinsic wisdom and truth that make them eternally relevant. Coming face to face with the monumental wisdom of the legendary Master Kung (better known by his Latinized name of Confucius) and others, is both a revealing and humbling experience. The Master's influence is to be found in the greater part of all proverbs that emanate from China. 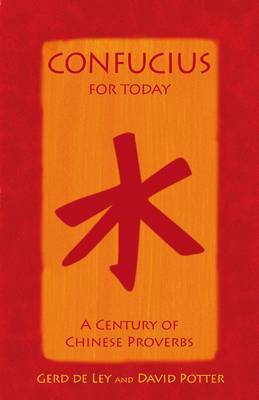 If we can absorb just a little of the profound wisdom of the Orient found in "Confucius for Today", we will, indeed, be better equipped to interpret life around us.